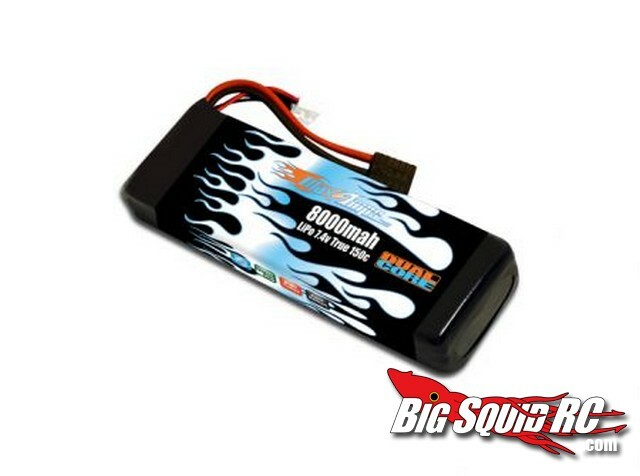 New Dual Core Lipo Batteries from MaxAmps « Big Squid RC – RC Car and Truck News, Reviews, Videos, and More! The MaxAmps battery crew out of Spokane Washington announced a new battery to their line-up today, a Dual Core 8000 mah 150C discharge Lipo. Their new battery uses 4000 mah cells that when wired in parallel are said to give the lowest possible resistance while giving outstanding voltage under load. The new Dual Cores are capable of a 5C charge rate and are also waterproof. You can get the new Dual Cores in either hard case or soft pack, and they have a price point of right around $145. The new MaxAmps Dual Cores are available Right Now for your bashing pleasure.